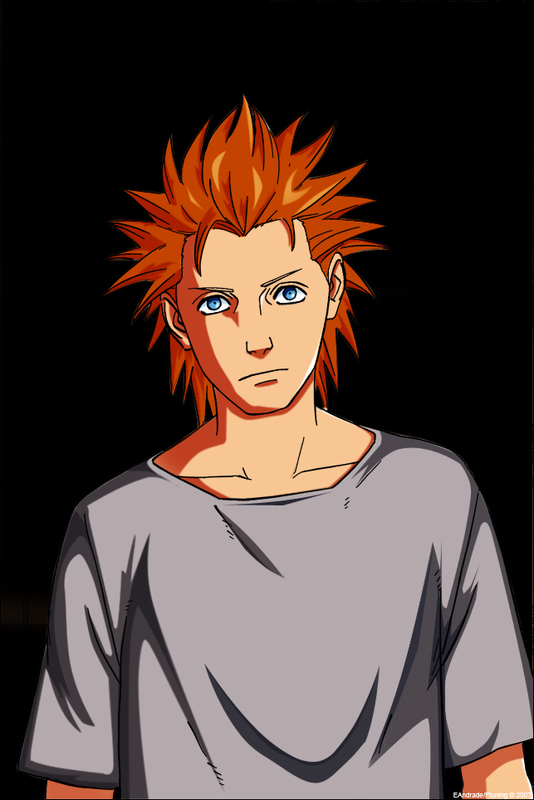 Personality: Orenji is a rather peaceful young man and always has been. He could never hurt anything, and especially the animals, he has chosen not to eat meat at all because of it. He doesnt like animal abuse and often will protect the animals. Orenji is also a very socially handy-capped person. He is often hard to talk to as he never really had friends for some reason and usually never had interaction with other humans. He often comes off hard or rather shy if you start talking to him. He only really know how to communicate with animals normally. He also has a large amount of will power and becomes serious once he sets his mind to something. He becomes mean to people who don’t think he is unable to achieve what he wants to. When he has a mental break down or becomes to consumed by rage he loses himself and the demon side becomes free sealed or not it releases slowly consuming him. He is insane and is out for blood, until someone stops him. Inside the sword is Orenjis demonic powers and more demonic appearance. Before release the only sign of his demon form is his traditional devil tail, although its soft like memory foam, rough fur, shiny fur, and a crimson color. The tail, itself is rather sharp and can rip through flesh and break a bone if it hits you hard enough. Its also able to support x 1.5 of orenjis weight. When his sword is unsheathed the bright red flames appear on his ears, and tail. Orenji can now use his flames with minimal control. The flames are not like Satans and are colder but again, these flames are not normal. These flames can reproduce rapidly and unlike other flames it just can’t simply be put out with holy water. These flames eat away at the plasmia in your blood and prevent your blood from clotting. These flames also do not just burn you, it burns you so bad your sin melts off you it starts to eat away at the energy in you muscles. Not only can that but the blade itself shot molten hot magma. The hint of his magama abilities is the fact under his feet is a molten shoe print. The swords name is Demonbane. Summoner Tools: Some sharpie markers and any surface he can find. His familiar look a small black bat with hands and a tail, he named it Shadou. This little creature is a ghoul type and was banned many years ago, but becuase of its size (30cm) it was allowed to be summoned. Shadow is made of a living undead bat carcass mixed with a large amount of demonic energy. This bat like ghoul tends o bite and inject the normal ghoul toxins directly into the blood stream. Its tail also has the ability to pierce human flesh. He can pass through any innatamte object and travel through shadows. Its can also bring things with it by swallowing i whole no matter the size. The bat cant easily be killed. If sliced, its limb regrows, and the old limb creats another bat. The only real way to kill it is with pure holy water, not a holy water grenade. Bullets also do nothing as it heals right after the wound. The only way to kill i with a bullet is to have it pinned to something with an arrow and left their to die. Demons can easily kill it, but have a hard time detecting it and hitting it. Its known as a Parasite Ghoul. 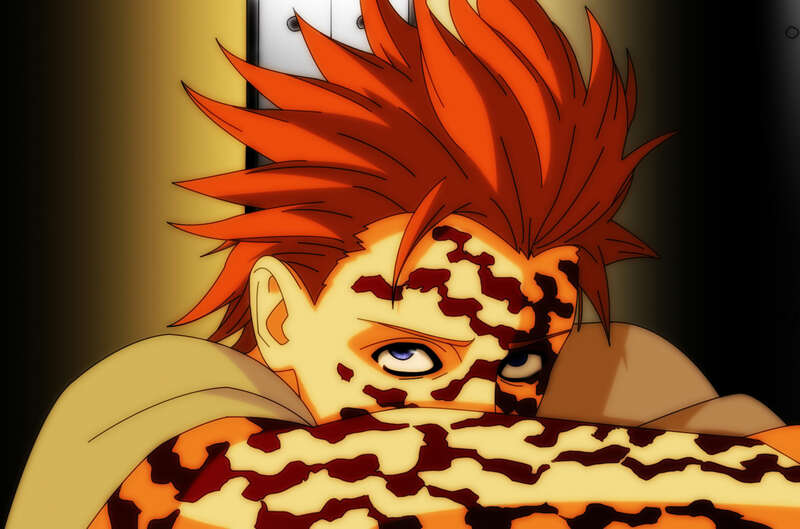 Abilities: Orenji has unnatural healing, strength, speed, stamina, all that stuff comes with his demon side, although he has one other. A 6th sense being his hightened instinct from being around animals frequently. He follows his deepest gut feeling knowing most of the time if someone is around him. Orenji was born a twin, a young half breed twin. Twins with orange hair and similar size, but one different from another. One showing effects of being a demon, the boys tails and ears, a demons choice. The other seemingly human and innocent. Orenji was that "human boy". Orenji was always the slower one of the two. He learned how to do everything sower than his brother, Tokino. He learned how to walk at the age of 1 1/2 learned to take at 5 and other things everyday children needed. Because Orenji didnt know how to talk properly for about a year he never talked to people, no friends no nothing, not even to answer a question. It also took him a year for him to learn how to spell his name. After years of his constant torture he failed a grade, then another. After the second happened he became home schooled. He kept this up for a few years before his 17 birthday when he started to see little things floating around him. He ignored them, but also talked to them treated them like the animals he talked to. One day him and his father got in an argument over his grades. Orenjis father said something he wold soon regret, " sometimes i wish i never had such a stupid child!" that of Course shattered Orenjis heart to little dust size pieces. 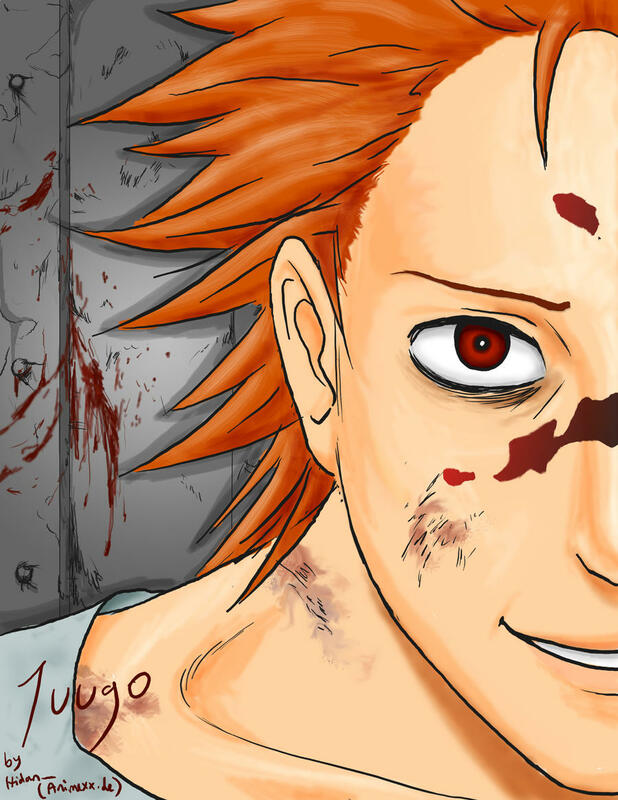 Orenji locked himself up in his room as a demon took advantage of this moment and used the darkness of his heart to pull out his rage and his demon side, killing his father and everyone in the house at the time. Once the exorcists got their they noticed the sword was opened and ad temporarily released his powers from the confine of the blade. Orenji still blames himself for killing his father, but has decided to become an exorcist to repent for what he has done, on the condition he will not use his demon powers around other pages and class mates. Kai stepped out of his house. The fairly large one at that. He gave a sigh not wanting to leave his computer but his brother snatched it and forced him to go to school. Of course Kai was obviously pissed off about it because he didnt want his computer taken away plus he didnt want these idiots talking to him contently. His foot steps echoed through the empty streets, free of cars and noise Kai had time to think by himself. He gave a small smile to himself as he walked to the nosy school campus and walking in as soon as the bell rung for classes. He grumbled as he slammed open his locker taking out his PE clothes and heading to the changing room to get dressed. Kai entered before his stripped down to his boxers giving a fake grin to the people who talked to him. He quickly pulled up his flamed designed pants and tank top before stretching and sitting down on the small benches. "bored............." no one was there that he believed.